Here are some more pictures of Tom from the Lux convention last weekend in Brighton. This entry was posted in Tom Ellis and tagged Ildy Modrovich, Joe Henderson, Kevin Alejandro, Lauren German, Lesley-Ann Brandt, Pictures, Starfury: Lux, Tom Ellis, Tricia Helfer on January 24, 2019 by About Tom Ellis. Tom is attending LUX convention in Brighton this weekend. Here are some pictures from Tom’s panel on Saturday. 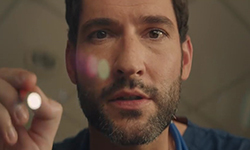 This entry was posted in Tom Ellis and tagged Conventions, Pictures, Starfury: Lux, Tom Ellis on January 20, 2019 by About Tom Ellis. Tom is attending LUX convention in Brighton this weekend. Here are some pictures. 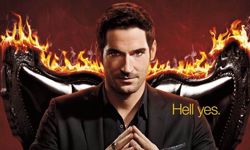 This entry was posted in Tom Ellis and tagged Ildy Modrovich, Joe Henderson, Kevin Alejandro, Lauren German, Lesley-Ann Brandt, Pictures, Starfury: Lux, Tom Ellis, Tricia Helfer on January 19, 2019 by About Tom Ellis. Another Thursday, another throwback. This week it’s time for screencaps of Tom in Episode 2×02 of Miranda.. 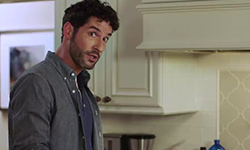 This entry was posted in Screencaps, Throwback Tom, Tom Ellis and tagged Gary Preston, Miranda, Miranda Hart, Pictures, Screencaps, Tom Ellis on January 17, 2019 by About Tom Ellis.